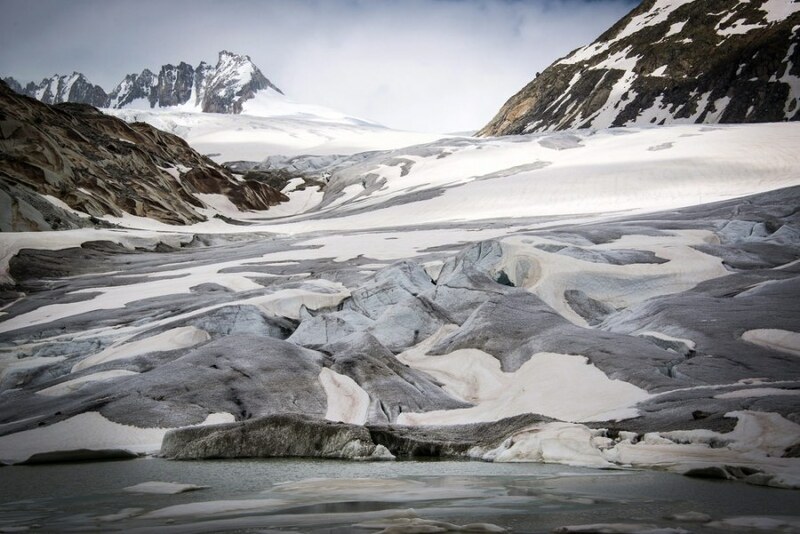 Like other glaciers in the Alps, the Rhone has retreated dramatically in the past 150 years, according to research cited by the Earth Institute at Columbia University. 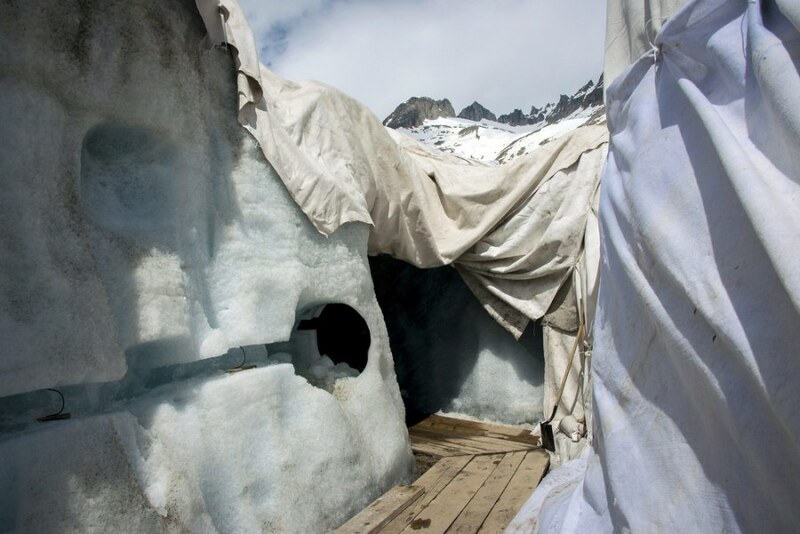 Each year, a tunnel is carved into the ice to enable visitors to walk inside the glacier, which is the source of the Rhone River. The entrance of the grotto of the Rhone glacier. A general view of the Rhone Glacier. 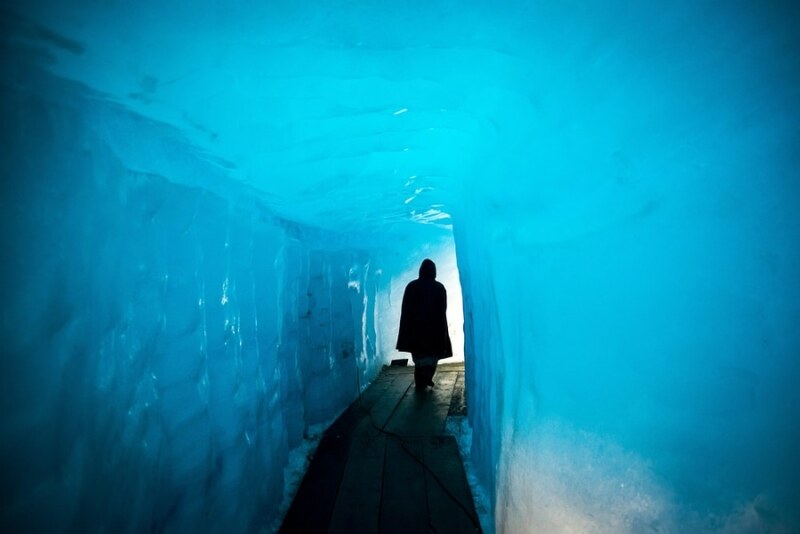 A person entering the grotto of the Rhone Glacier. 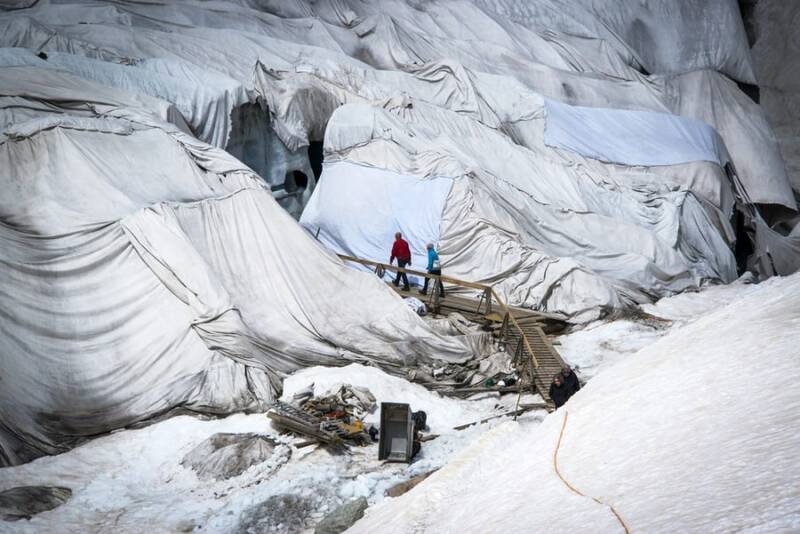 EDITOR'S NOTE: Images taken on June 26, 2013 and made available to NBC News today.